Underappreciated online guide here . . . 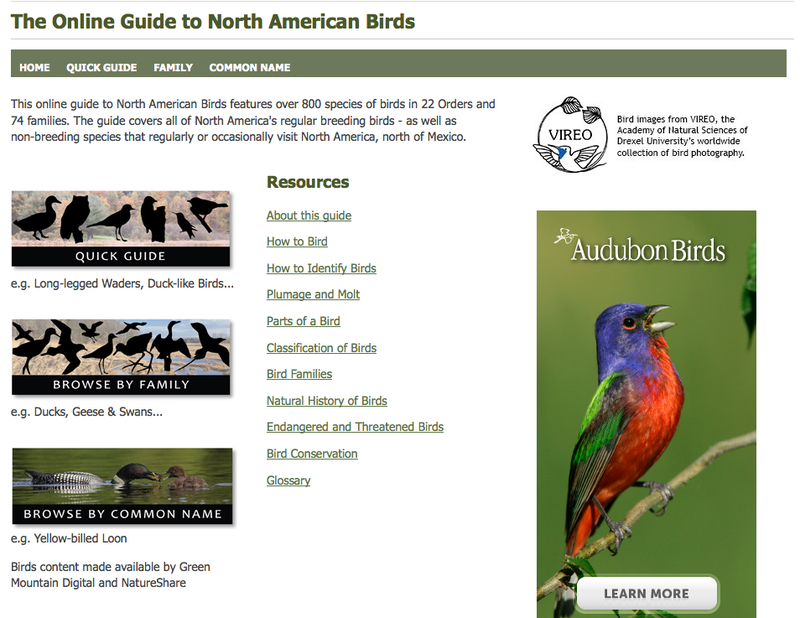 The National Audubon Society has published a new Online Guide to North American Birds, and it’s worth a look. At a glance, the guide contains similar content to what birders expect in field guides: images (photographs) of birds, descriptions of habitat and basic behaviors, and range maps. Like the Cornell Lab of Ornithology’s All About Birds, this new Audubon guide also provide recordings of songs and calls for most species, as well as multiple ways to find the species you’re trying to identify. I’ll resist for now the temptation to compare the two resources.